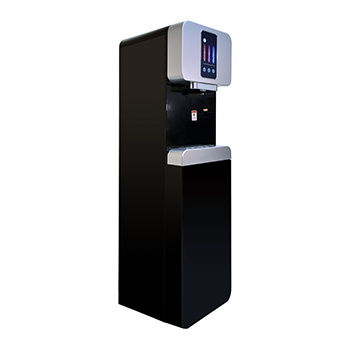 FW-1500P Filtered Cooler , High Performance commercial grade model with extra large dispensing gap. 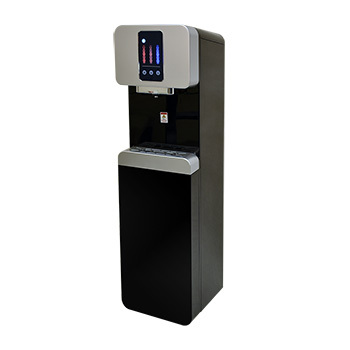 Two filtration systems available: a 4 stage sub-micron Ultra Filtration, or the 4-stage Reverse Osmosis System - your own choice for your own specific drinking water needs. 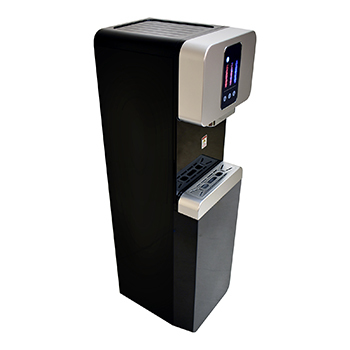 Cooled by a LG compressor, stored in surgical stainless steel tanks and built with a leak detector - your water is guaranteed clean, healthy and safe. Great for high traffic areas. 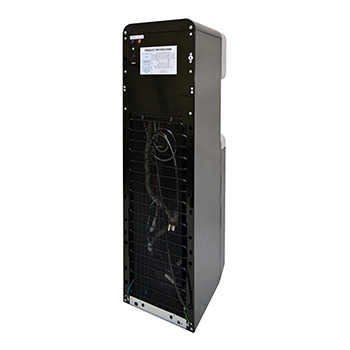 The LG compressor provides reliable cooling system and its surgical type 316 high-grade stainless steel hot and cold water tanks add extreme durability. 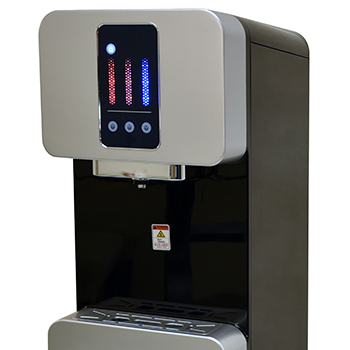 LED illuminated extra large dispensing gap, makes it ideal for sports bottles and coffee pots. Comes equipped with High Capacity hot and cold tanks. With it’s sleek look, high quality construction, un-paralleled reliability and unbeatable price, this exceptional product will surely please everyone at home, or the office! Need even more capacity? Look at the newest addition to our product line , FW-2500 cooler, which comes with much larger tanks for locations with over 50 people. 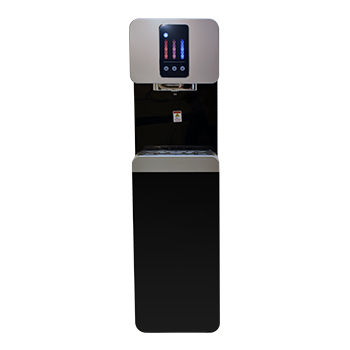 Choice of UltraFiltration, high capacity Reverse Osmosis System with 100 gpd membrane, or simply just plain water (call us if you want a system with no filters). No Scale build-up! 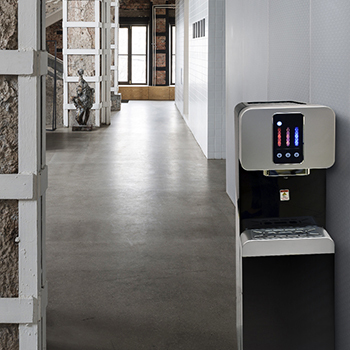 Cooler is designed to handle high scale water when ordered with a Reverse Osmosis system! Backed by great warranty! 1 year manufacturer's warranty system, 3 years on compressor. - Filter cartridges are included with FW-1500P coolers that come with filtration system installed (FW-1500PF, FW-1500PRO). - Final assembly in U.S. using U.S. and South Korean parts. 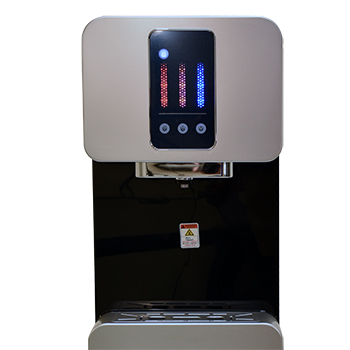 - Bottle-less cooler comes with filter cartridges, installation hardware and instructions. Call a number in the manual during installation if you have any questions!